I am back home and trying to catch up on everything I’ve let slide a bit. And well some things that I’ve been working on since forever it seems. 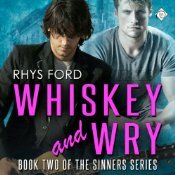 I’m doing a seven stop blog tour. A short one because I’m kind of to the wall with a deadline…more on that later. 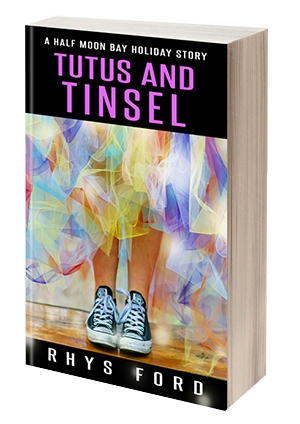 But it will be a Christmas thingie with Deacon, Lang, Zig, West and a few other people from the Half Moon Bay series. Maybe a cat will make an appearance. BUT there is unique content on each blog stop so please stop by each to read. There’s also gift certificates to give away. On each stop. Have to enter to win. So stop by and enter as well. Because gift certificates can also go to someone else’s holiday present or… you can save them up to get that gold-plated snorklewhacker you’ve always wanted. The project I’m hammering at. This one is oddly harder to work on because I’m having to disassemble what I’ve written and fill in the blanks I’m creating. It’s an odd exercise in brainwork. I don’t recommend writing this way. But then some people do. I’m more linear. Point A to Chalk Line. This is the sweetest thing you’ve ever written. Really? A dead body? You just had to. Take that as you will. The blurb is final and I’ll probably drop the information on this shortly. Mostly figuring out when and where I’m going on the next couple of weeks. It’s been insane. 4. I still haven’t seen Dr. Strange but I HAVE seen Fantastic Beasts. I am not a Potterhead but I know quite a few and support their fandom. 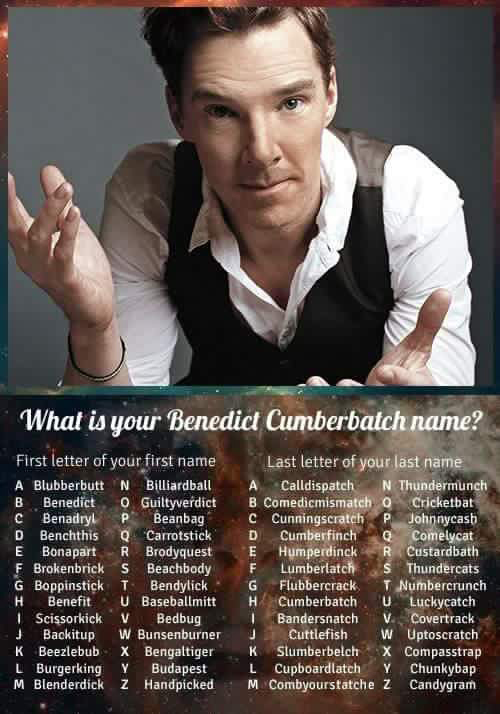 I’m not so sure about my Benedict Cumberbatch name though. Sounds like you had a wonderful trip! It’s always good to come home. Looking forward to all of these. Always nice to be home again.